There is a massive demand for UX designers in today’s market. As a result, if you want to make it big in the industry, it is essential that you not only know how to design successfully but at the same time also exhibit other skills which can set you apart from the rest of the crowd. These skills should complement your designing skills which in turn should help you make a complete professional. One of the best ways to get an edge over the other professional UX designers is to learn to code. You may think that how would coding help anyone become a better designer. However, the truth is that there are multiple reasons for this. Many times, it has been noted that the difference between an average and an excellent designer isn’t much. One of the fundamental differences being that an average designer often struggles at work because of his/her lack of front-end development skills. Some of these skills include better communication with developers, making small and fundamental code changes to a website and inability to create a prototype in the browser, etc. If you are a designer, recent programming languages and a knowledge of that will help you a great deal in enhancing your designing skills. Languages like HTML5, CSS3 etc could step up your game. Getting an insight into these is also not difficult. Many video-based CSS3 or unity tutorials are flooding the internet. All you need to do is pick the most suitable one and conquer it. Knowing coding can make life much easier for professional designers. It may not be something which will come in handy every day at work, but now and then it will be a massive help. With the coding knowledge, you will be able to write basic CSS and HTML without requiring assistance from others. It will enable you to create a functional prototype for specific browsers. Apart from this, you will also be able to make necessary edits to any website and debug CSS and HTML issues that you will only be able to read otherwise. Better communication is key to improved performance. If you know how to code, then you will be able to communicate better with your colleagues about front-end development. You will not only understand them but will also be able to contribute significantly. This will further improve your performance as you will be able to understand the areas where you can improve and make the website better. As your career moves forward, you may want or need to learn to programme. Many designers often want to code native applications like android apps or iOS apps. Some of them also need to code at their work with back-end languages like Ruby or Python. In such a scenario, your coding skills will be very useful. Your understanding of HTML and CSS will help you learn these languages quicker and better as you would already have a foundation in front-end development. 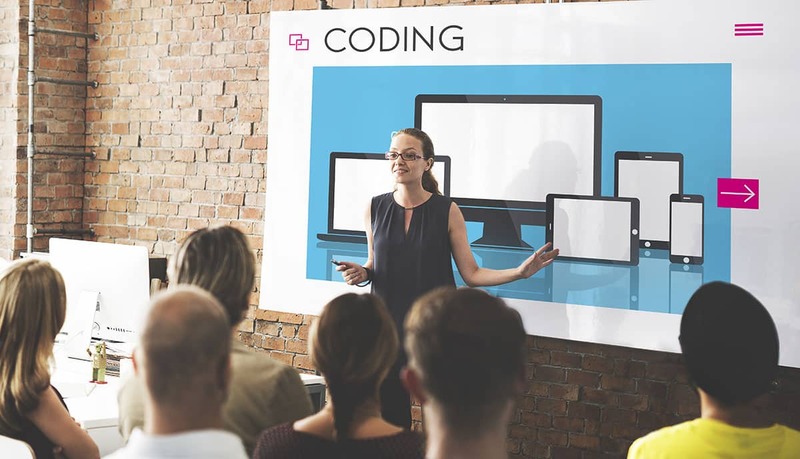 Working knowledge of coding can give you an advantage when applying for jobs in the technology industry. The technology sector is a dynamic field where the employees are often required to be multi-faceted. This is more so in the age of start-ups when companies look for more than one skill from an employee. It is a well-known fact that designing of any sort requires a lot of creativity. You need to continually hone your creative skills. One of the best ways to reinvent and continuously reinvigorate your creative side is by developing new skills. Learning new things is an effective method of keeping the mind agile. The entire process of learning to code can be an instrumental work out for your creative muscles. In addition to that, once you learn to code, you are then armed with a skill which opens the door to many opportunities. At present coding is a universal language in the world of technology. Being proficient in it helps in almost all the technology-related fields. As a designer, you may have to work on tight deadlines. Hence, time is of premium value for a professional. Knowing how to code can save a lot of your time while working on a project. If you are able to comfortably design in your browser then it is possible for you to save the time that you usually spend working on Photoshop while handing it over to a coder. Overall, if you want to improve the presentation of your website’s content then more often than not you will get the best results when it is done by a designer who knows how to code. I am an entrepreneur at heart who has made his hobby turned passion, his profession now. I love writing about coding, hacking, open-source and cutting-edge technologies. Technotification.com is a smart, intelligent, quirky, witty content portal that targets people interested in Technology, programming, open source, IoT, AI, and cybersecurity. Information such as the type of browser being used, its operating system, and your IP address is gathered in order to enhance your online experience.